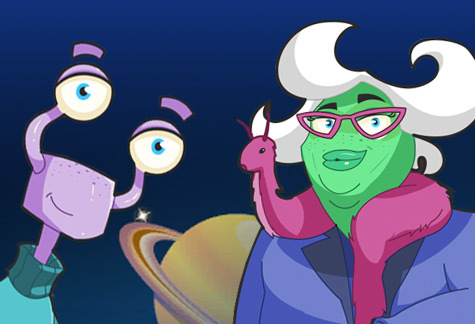 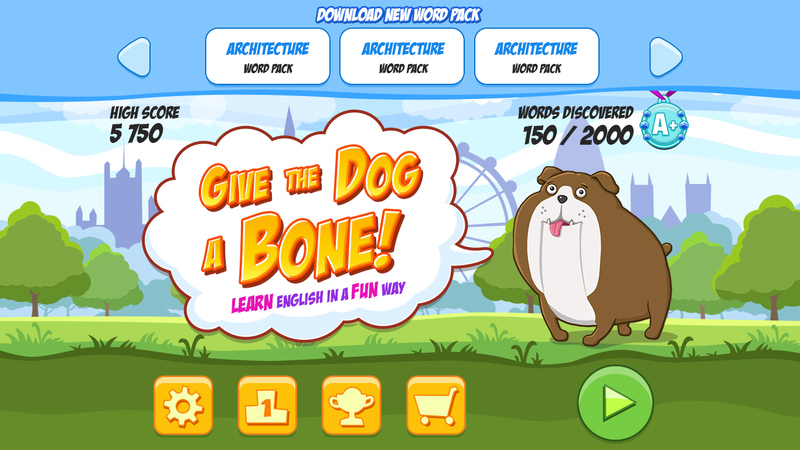 The game is targeted at the audience of 8-12 year old children with a basic knowledge of English. 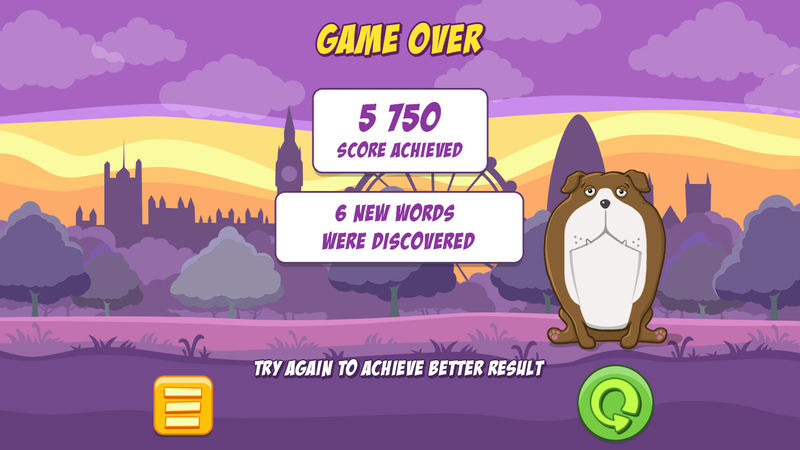 During the game, users learn English words grouping them by topical units. 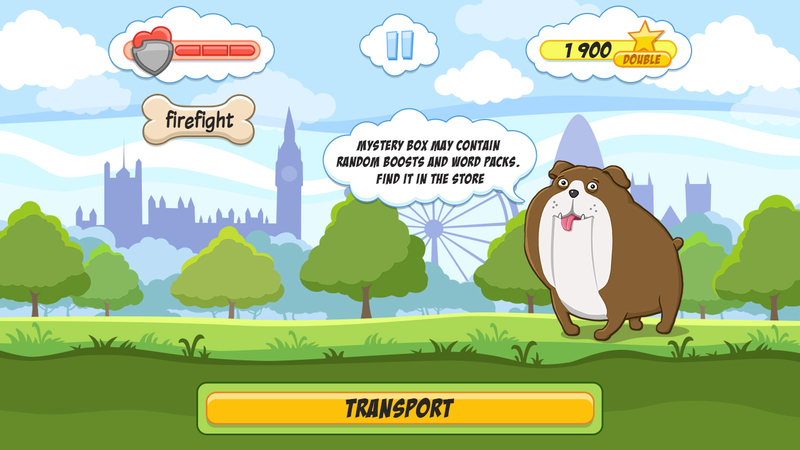 As soon as the game starts, the players see a park sight in the background with a topic board at the bottom of the screen. 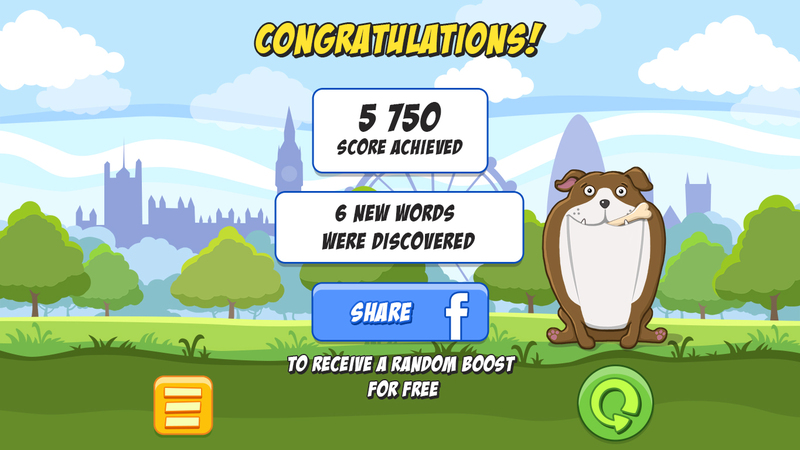 The tablets with words start falling down from the top of the screen. 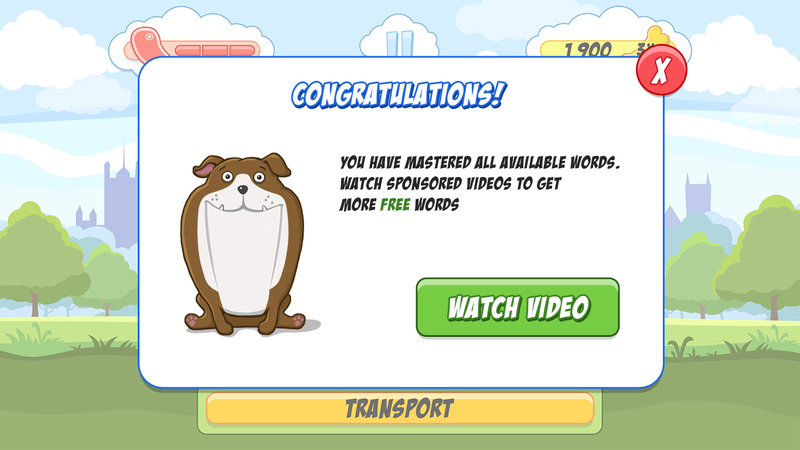 The player’s task is to choose those related to the topic by tapping or swiping the right ones within a set time limit, receiving as many score point as possible. 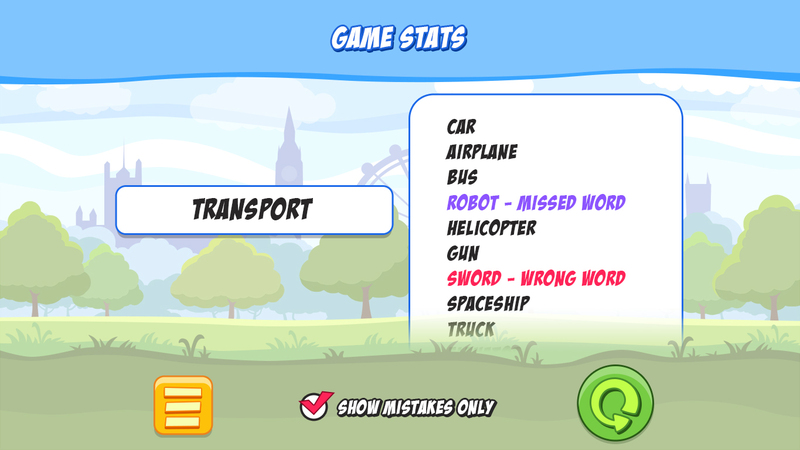 Each mistake takes a bit from the health bar, while every right word choice instead increases the score. 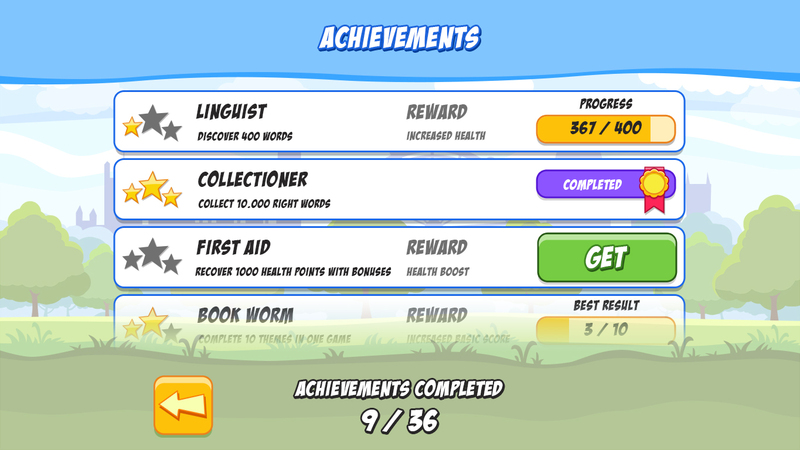 The dog character cheers the player, providing him/her with hints and notifications. 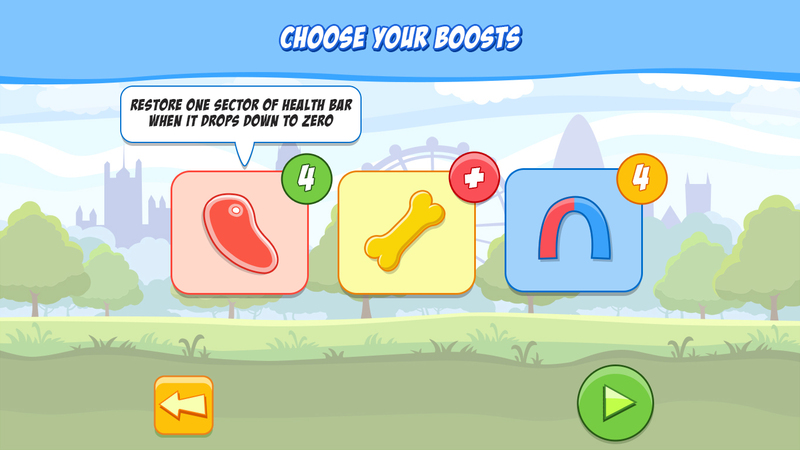 The game is over once the health bar score drops down to zero. 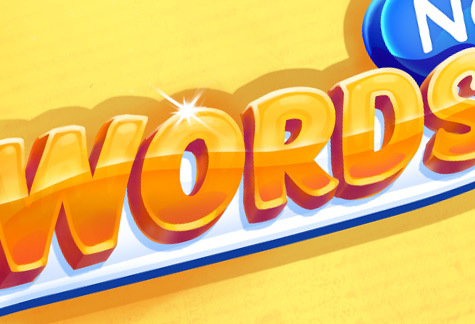 However, health restores automatically between the sessions.